It's complicated for them as well. At press time, the most popular item on the website of Jackson, Miss. 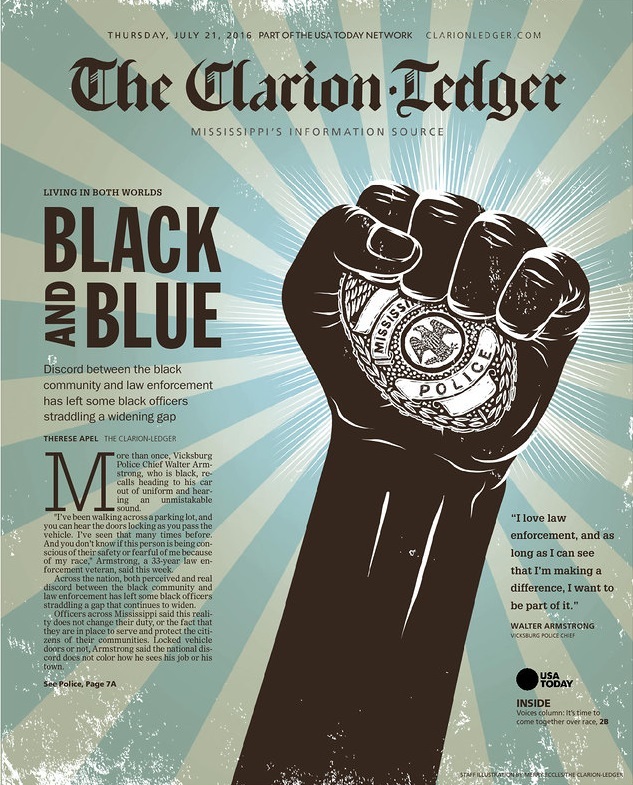 newspaper the Clarion-Ledger is today’s front-page story by Therese Apel. She interviewed a number of black police chiefs about what it’s like for them on-duty, and off. 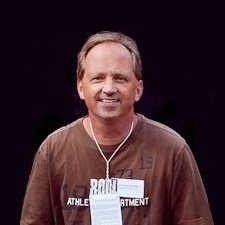 Since I was a teenager, I have felt the fear, anger, sadness and humiliation that only comes when you know you have been wronged even as you’re doing things right. Now, we must come together, not just in government, but in living rooms, schools and neighborhoods across America, to find solutions. It’s time to unclench the angry fists and stop the hand-wringing. Let’s join hands instead. It will be hard. There is no single solution. But there are clear starting points. The illustration above was drawn by Merry Eccles.